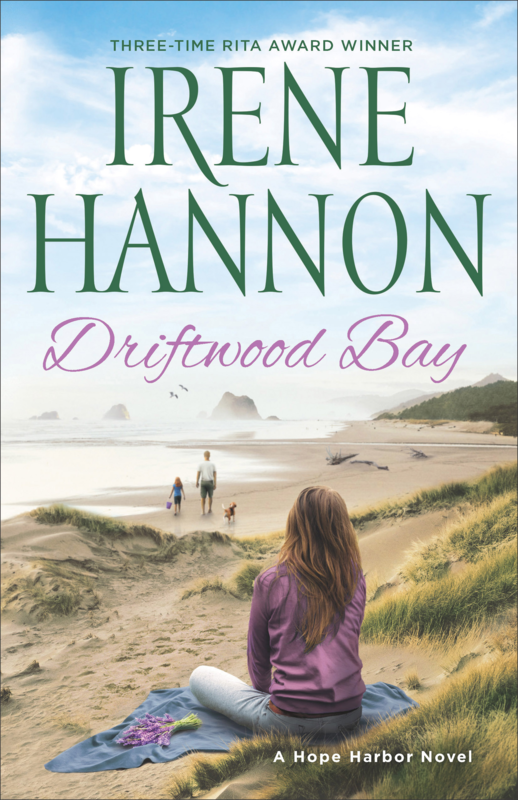 Warmth, wisdom, hope, and fish tacos – that’s what you get from reading Irene Hannon’s latest Hope Harbor novel Driftwood Bay, and it’s a delightful combination that blends wholesome family drama, realistic life transitions and a cute small town with just enough romance to keep things interesting. I must confess, I haven’t read the previous four installments in this series, and when I agreed to review this novel, I didn’t realize it was a Christian romance. In truth, I’m glad I didn’t notice that element because I’m not that into organized religion and it might have kept me from reading this novel. 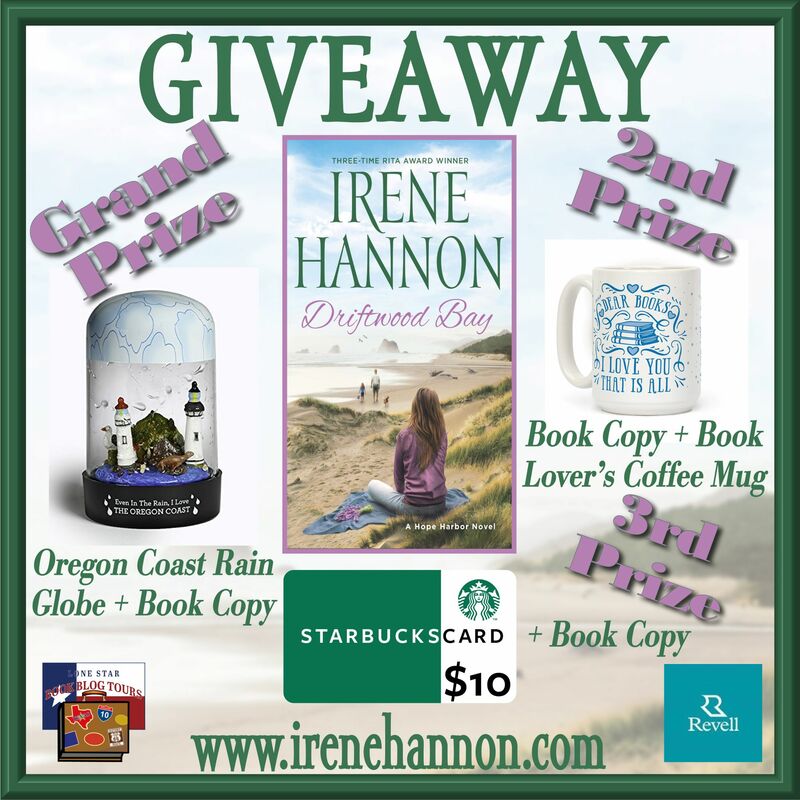 That would have been a big mistake, because Irene Hannon’s work is accessible to all, and while the characters in this story both mentioned and took strength from their faith, there was nothing preachy about the book. Faith was a character element and handled as such. The church community was also an integral part of the plot, acting the way the best faith communities should: taking in refugees, and otherwise helping people make useful connections to better their lives. The other elements of the novel were equally well-crafted: lead characters Jeannette Mason (“the lavender lady”) and Logan West begin as neighbors brought together by the latter’s destructo-dog Toby, and watching their relationship evolve from somewhat prickly ‘just neighbors’ to an uncertain friendship, to more was both amusing and endearing. 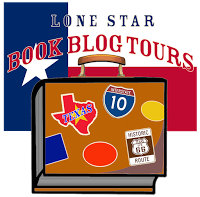 Each of these people had baggage in their backstory, but author Hannon managed to make their metaphorical luggage match in. the best way. 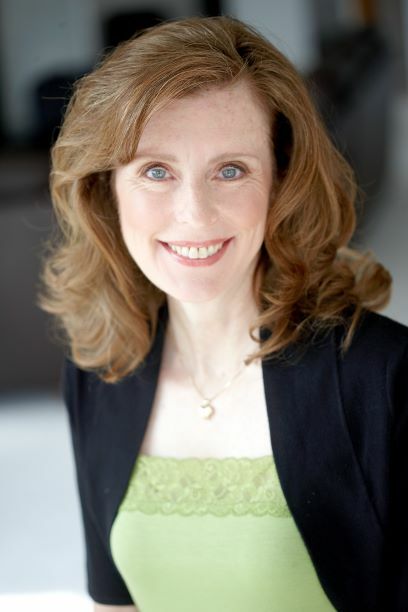 Similarly, Hannon handled the Syrian refugee family, Mariam, Thomma, and Elisa, with great sensitivity, showing their struggles to overcome the loss of their home and family members, their struggles to learn English, and to acclimate to life in a fishing village rather than a mining town. One thing I particularly appreciated, because I struggle with it in my own writing is the way Hannon depicted the child-characters Elisa and Molly (Logan’s young niece). It can be so easy to make little kids into caricatures rather than characters, but these two little girls are as real and dimensional as any of the adults, and the friendship they form is as special as any of the other relationships in the novel. One side character I do want to mention is Charley who runs the taco truck (when he’s not off painting). I kept getting the feeling there was meant to be more to him than what we saw, but even if it was just the way I was reading him, I loved him as the person who tells you what you need you hear, when you most need to hear it, even if it’s sometimes a bit cryptic. Overall, this is a wholesome, heartwarming novel that leaves you believing that communities can still come together and there is still hope in the world. Goes well with fish tacos and a cold beer.